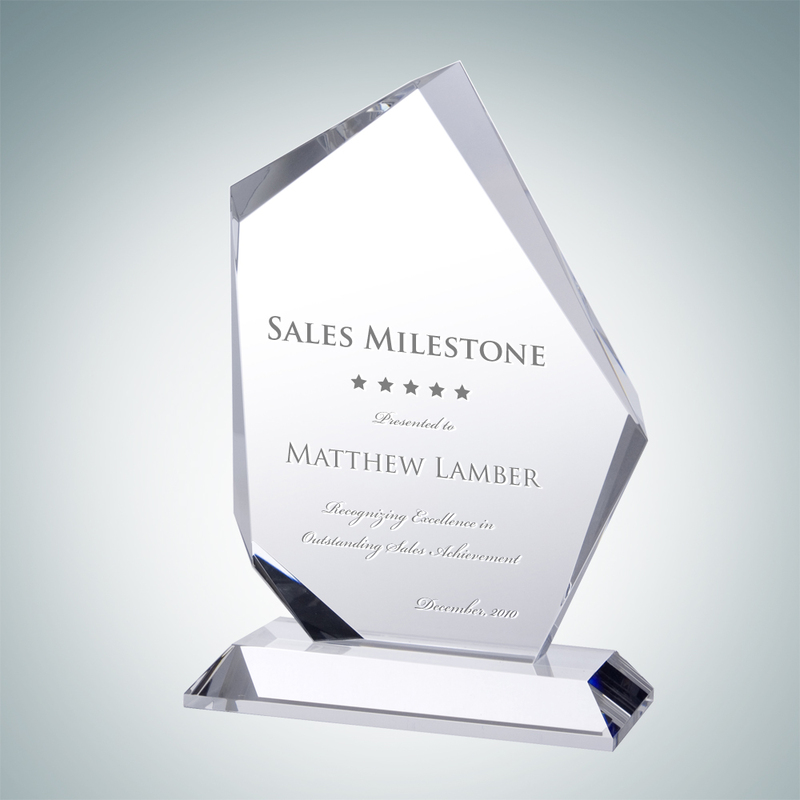 This is the Jade Glass 1/2″ thick Triangle Award with Slant Edge Base. All of our jade glass awards are hand cut and polished to perfection, great for corporate and recognition events, jade glass awards can be personalized with your logo and text. Available in three sizes; 6-1/2″, 8-1/2″ and 10-1/4″ height.. It is a great award to showcase at your upcoming awards event. Notice how your logo and message will be the center of attention. Let the people you are appreciating know that you care with the Crystal Triangle Plaque. Available in three sizes; 5″, 6″ and 7″ height.. 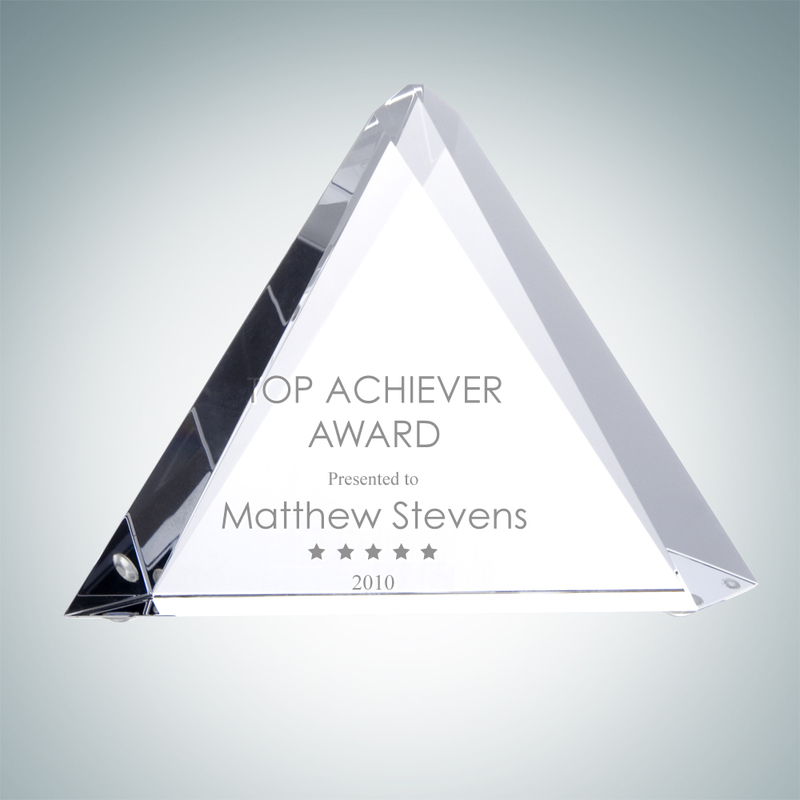 This is the Optic Crystal Tri-Triangle Award, imagine your text, logo, and personalized sand etched silvery-white on this piece. Its solid clear optical crystal makes for a nice presentation.. 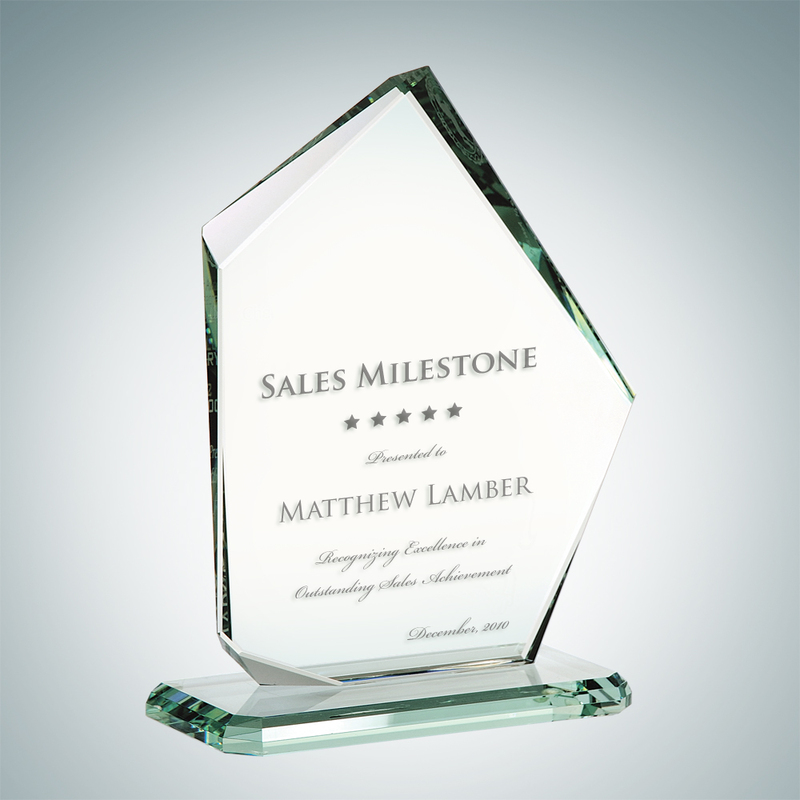 This Jade glass summit award is hand cut and polished to perfection. 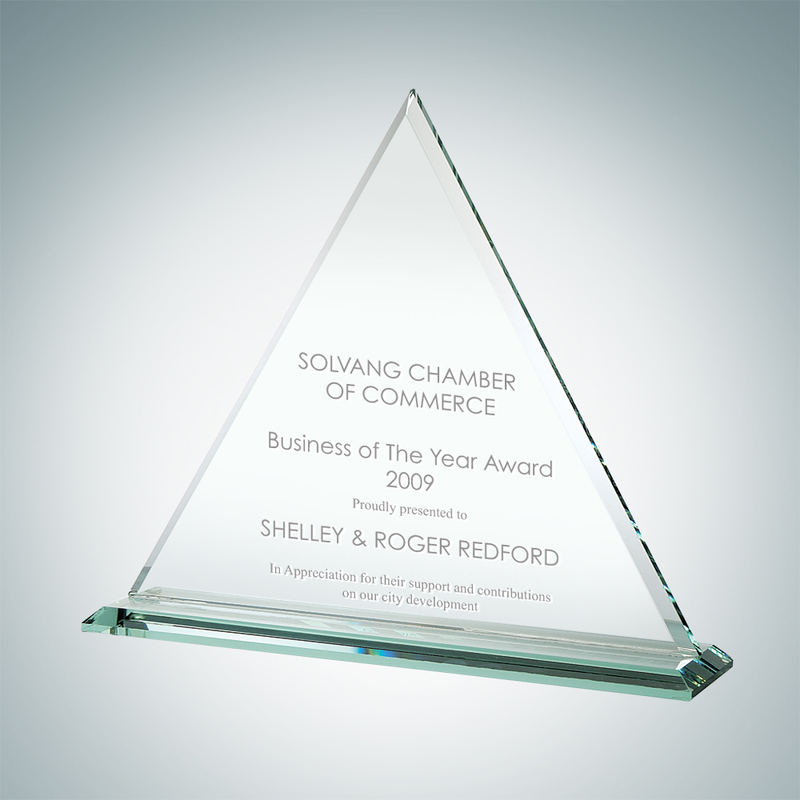 Great for corporate and recognition events, glass awards can be personalized with your logo and text. Available in three sizes; 6-1/2″, 8-1/2″ and 10-1/2″ height..
A unique design and style that will surely turn heads and capture the moment, make your upcoming event worthwhile with this corporate award. This optic crystal award is available in three sizes; 6-3/4″, 8-3/4″ and 10-3/4″ Height.. 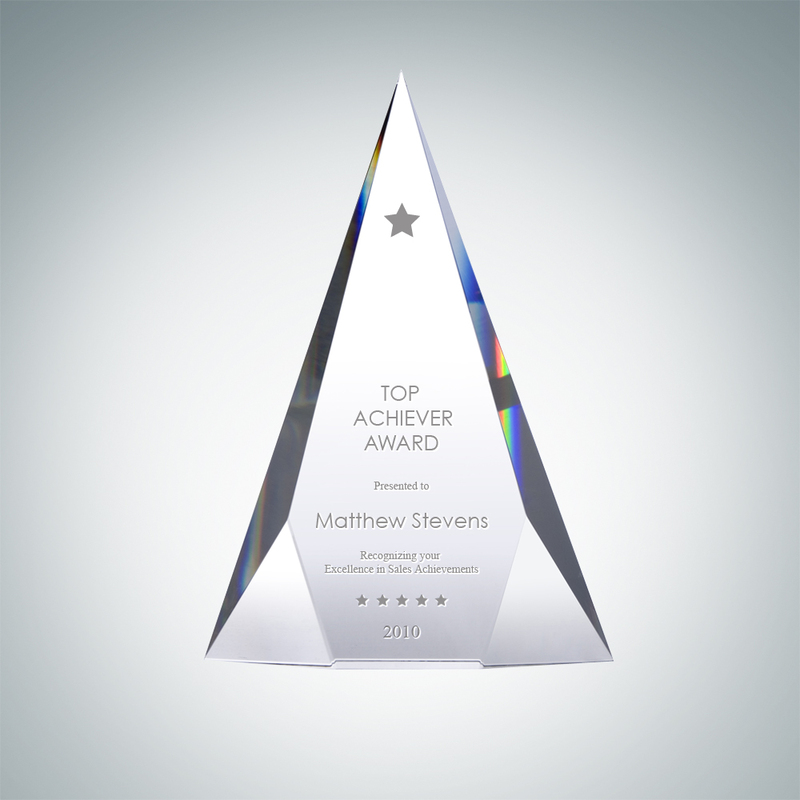 This peak shaped optic crystal award has a large engraving area for your logo and message. 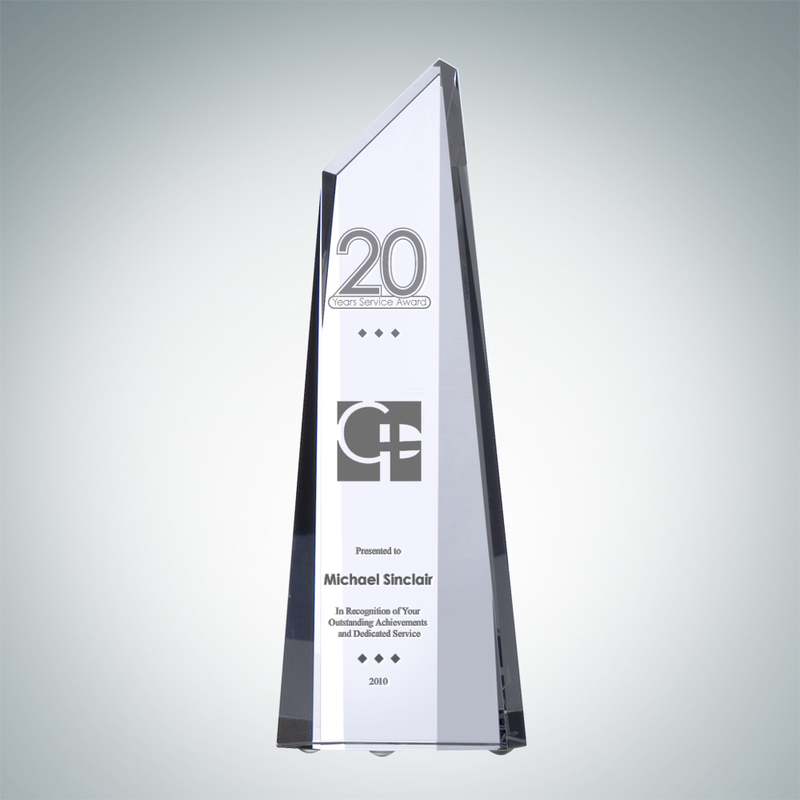 With ample engraving room, this glass award is available in three sizes; 8″, 9″, and 10″ height..